One of our toddler friends requested sand, trucks and animals. The teachers set out trays and now many of our friends are interested. 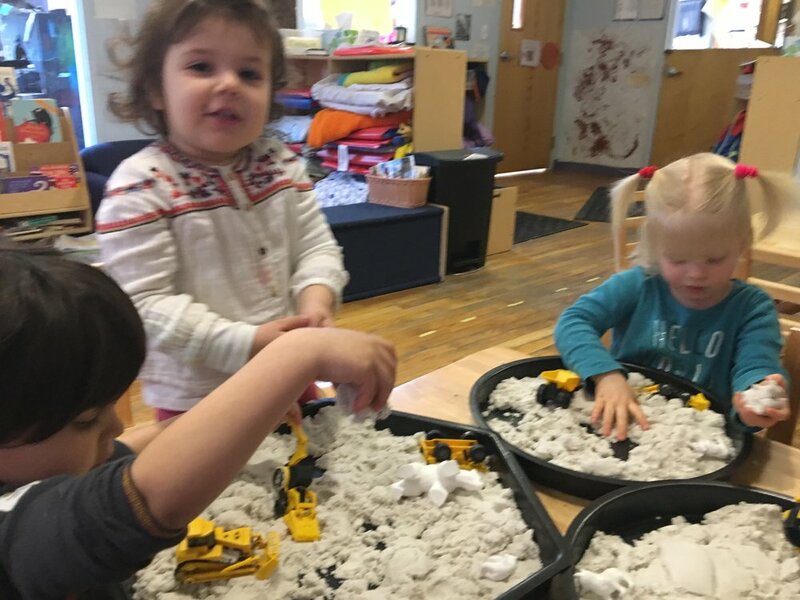 We had sand with trucks in the sensory table for quite awhile and then changed it when it appeared the children were not interested anymore. Now we have brought it back into the classroom as children became interested in this again.